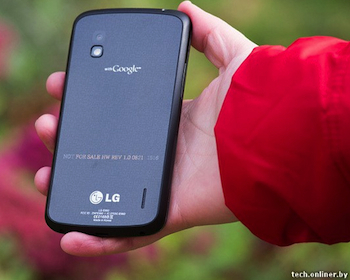 Check out our review of the LG manufactured Google Nexus 4 smartphone. An LG executive has revealed in an interview that the company’s first Google Nexus smartphone will be revealed on October 29, at Google’s already announced event. It was during an interview with IBNLive.in that Amit Gujral, LG’s head of Mobile Product Planning, let slip that yes, the Nexus 4 is real and it’s coming very soon. He’s quoted as saying “Google will unveil the LG Nexus on October 29,” before adding that the new phone would be available in India before the end of November. If Gujral’s timing is correct, it’s likely the Nexus 4 will be ready for an international rollout almost immediately after the October 29 event. India is an important mobile market, but Google and LG will probably release the new phone in the US and Europe a little before it appears there. He also mentions some of the same spec details we’ve already heard, such as the phone having a 4.7-inch display, a 1.5GHz processor and version 4.2 of the Android operating system. He didn’t talk about the resolution or the camera, but previous rumors have put them at 1280 x 768 and 8-megapixels respectively. The October 29 release date was mooted at the start of the month by the French newspaper Le Figaro too, stating it would begin its worldwide release on that date, and that France would be seeing the phone in December. It’ll be a surprise if France takes the new Nexus after India though. LG’s Nexus 4 isn’t the only new device expected to appear at Google’s event, as a playground with only one thing to play with would be a slightly sad place. Other possibilities include a 32GB Nexus 7 tablet with cellular connectivity, plus a 10-inch-plus Nexus tablet, possibly built by Samsung, with an iPad-beating resolution. Google’s event kicks off at 10am in New York on October 29.